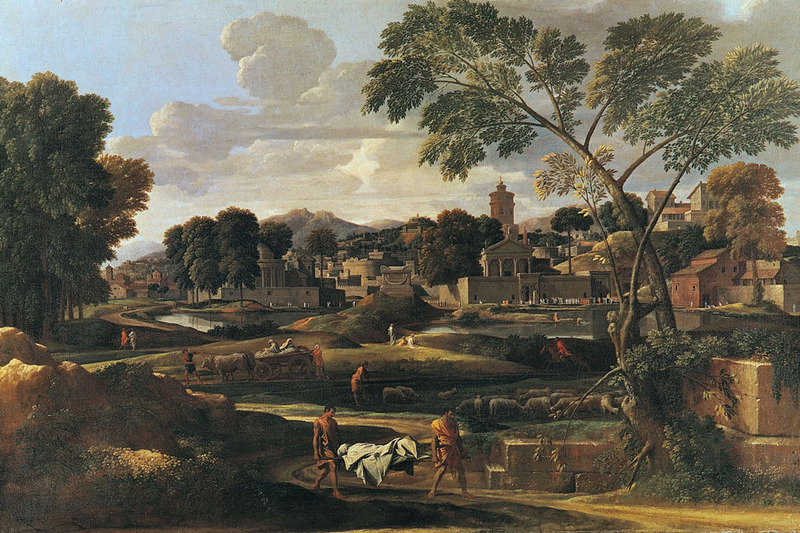 Poussin, Landscape with the Burial of Phocion, 1648. 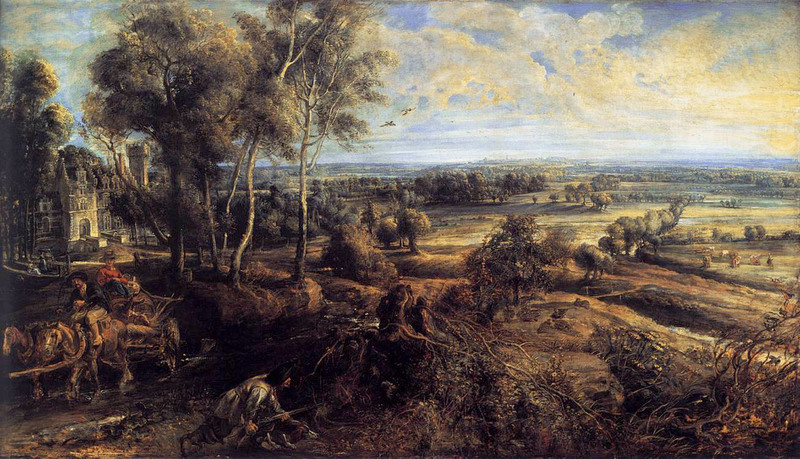 Rubens, Le Chateau de Steen, c. 1636. Rubens, Garden of Love, c. 1638. 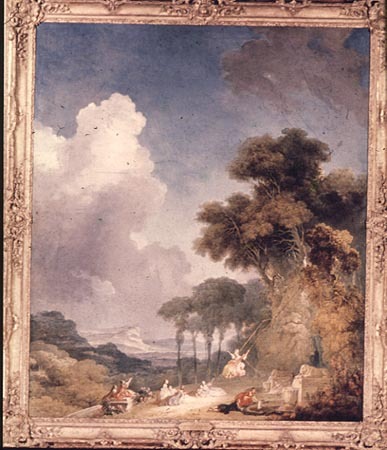 Antoine Watteau (1648-1721), A Pilgrimage to Cythera, 1717. Detail of the Pilgrimage to Cythera. 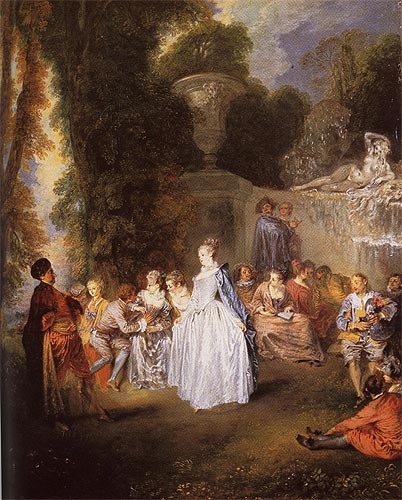 Watteau, Les Fêtes Vénitiennes, c. 1718. 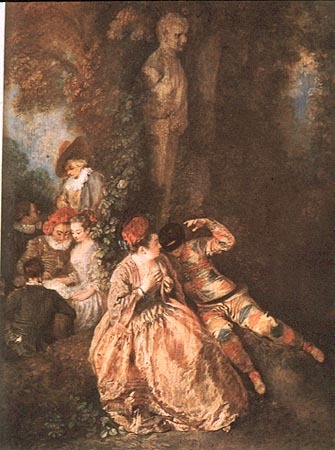 Watteau, Young Lady with a Harlequin. 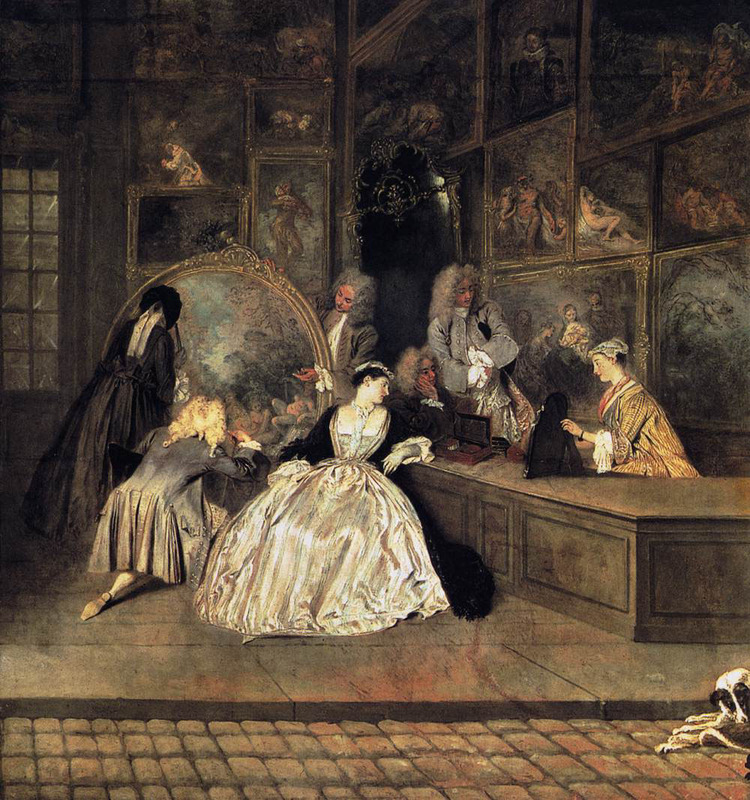 Watteau, Gersaint's Signboard, 1721. Details of Gersaint's Signboard. 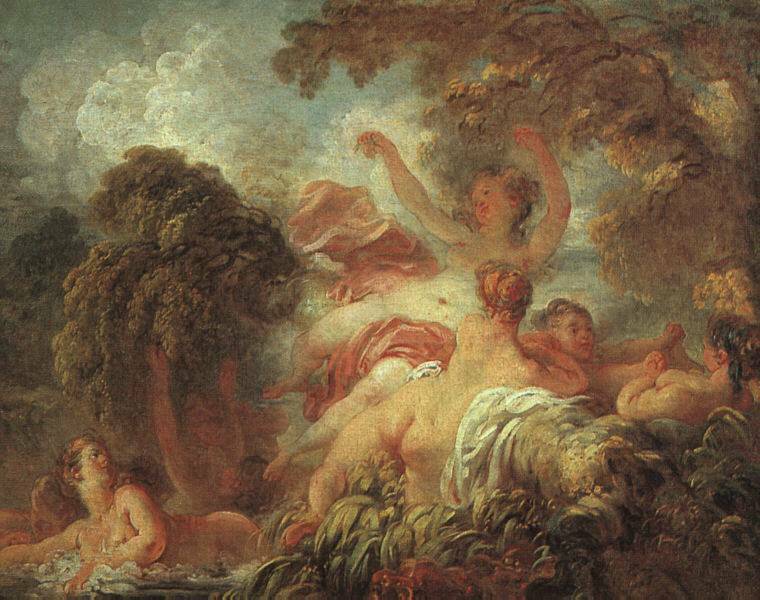 Jean-Honoré Fragonard (1732-1806), The Bathers, c. 1765. 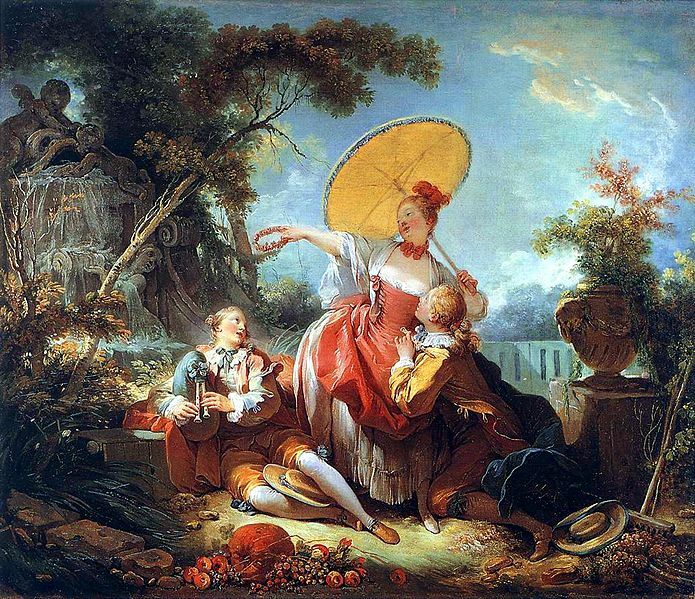 Fragonard, Happy Accidents of the Swing, 1767. 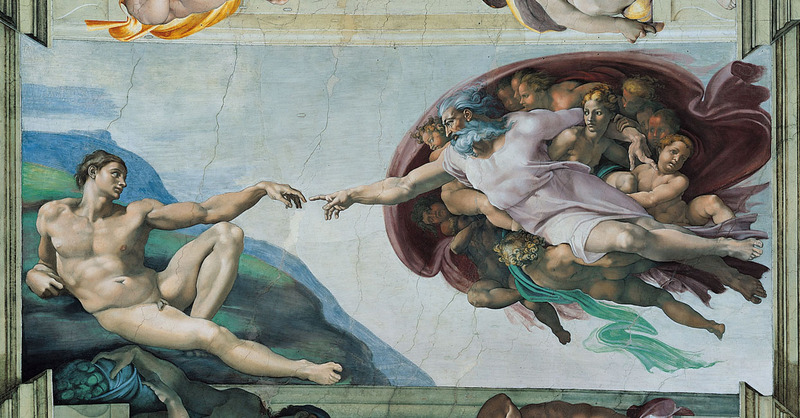 Michelangelo, Creation of Adam, Sistine Ceiling, 1508-13. 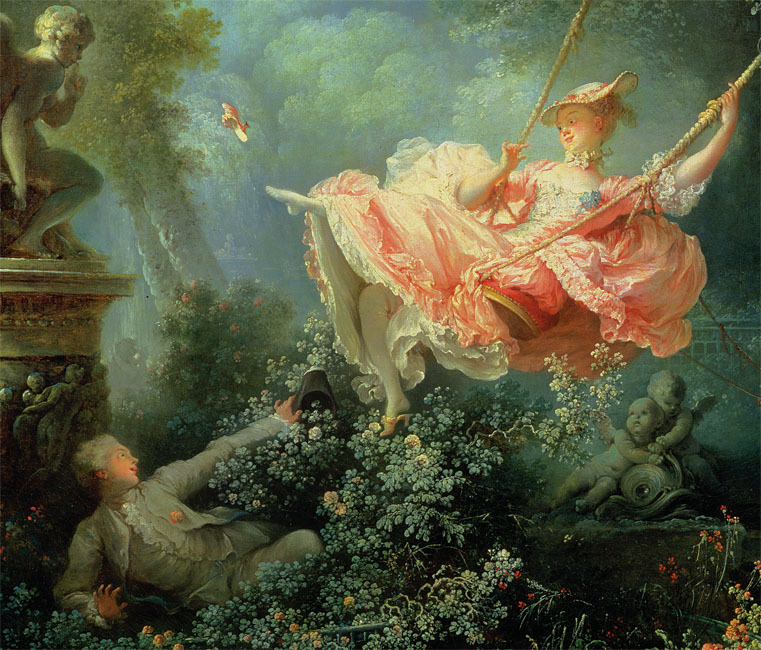 Detail of Fragonard's Happy Accidents of the Swing. 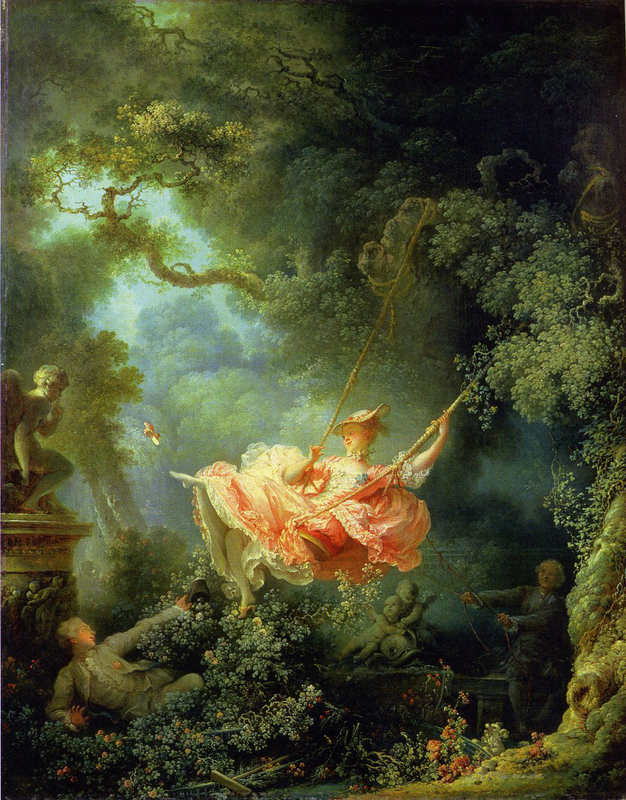 Fragonard, The Swing, 1765. Fragonard, Girl with a Dog, 1783. 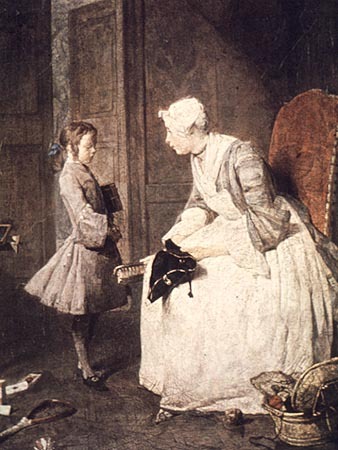 Jean Baptiste Chardin (1699-1779), The Mother's Advice. 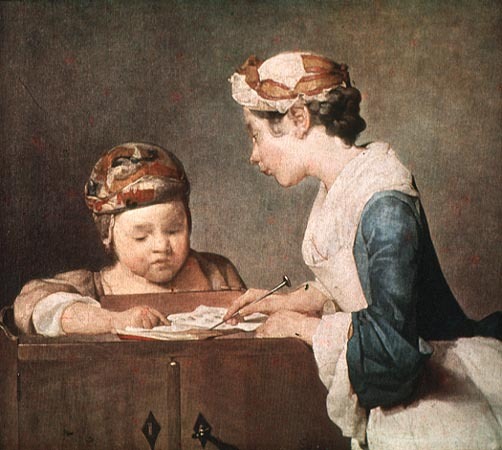 Chardin, The Young Schoolmistress, c. 1750. 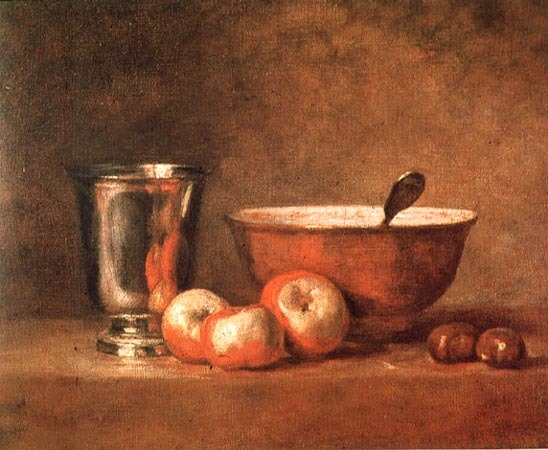 Chardin, Silver Goblet, c. 1760. 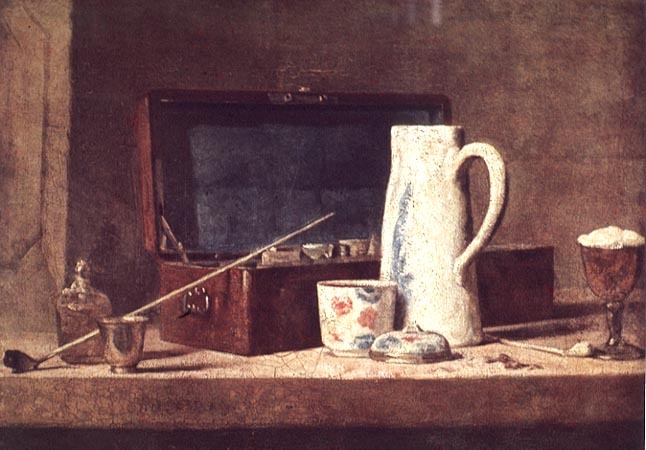 Chardin, Still Life, c. 1760. Fête galante- elegant entertainment. 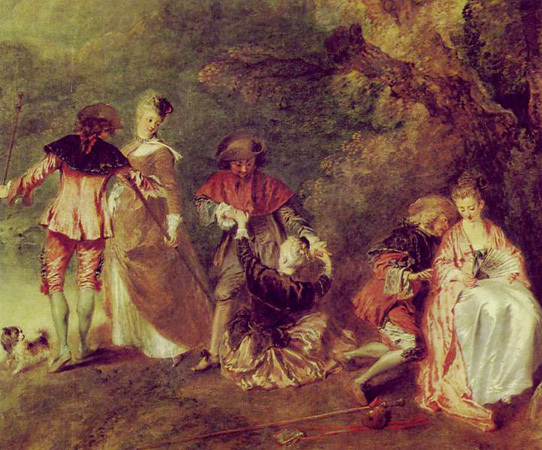 A term used to describe the subjects of the paintings of Watteau and his followers in which elegant young men gracefully and rather wistfully court fashionably dressed young women in park-like settings. 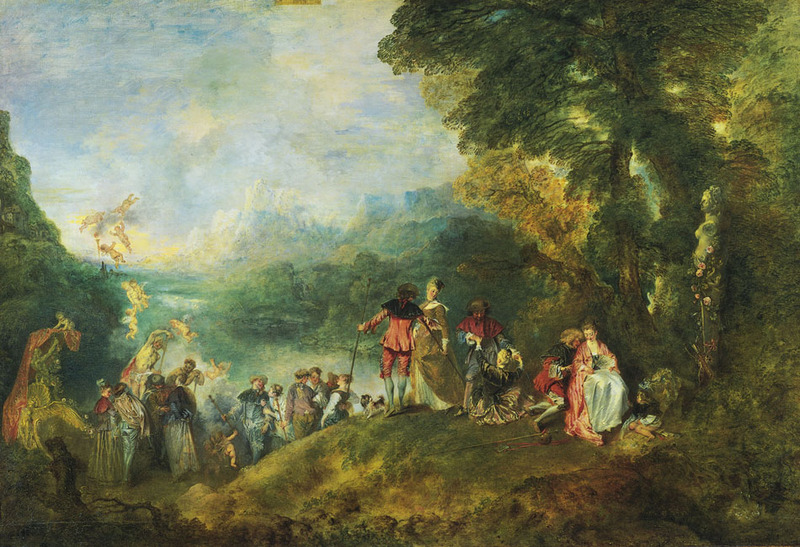 Watteau, Pilgrimage to Cythera, 1717. 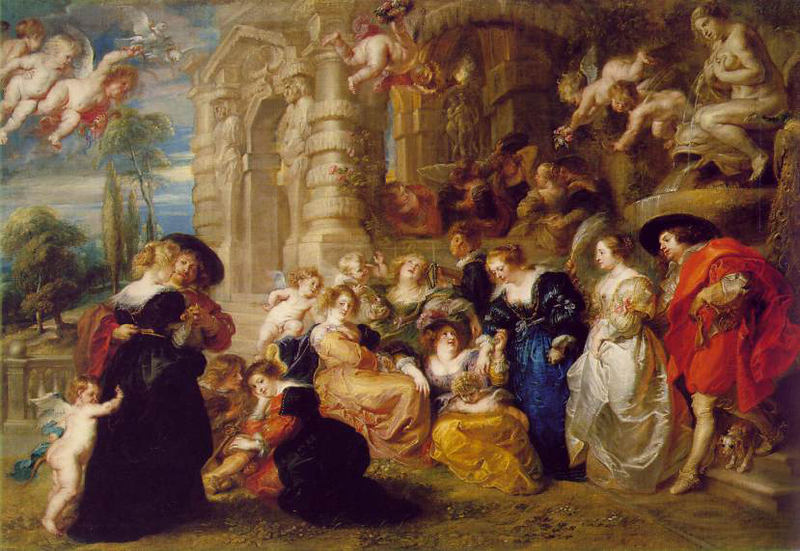 Rubens, Garden of Love, c. 1638. 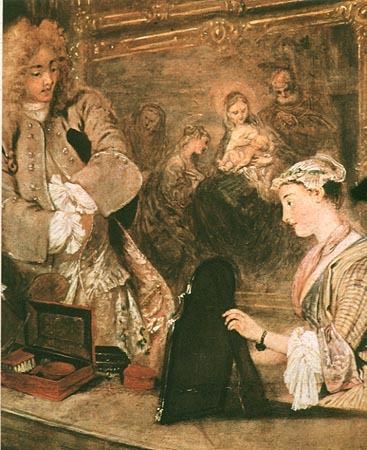 18th century French art witnesses a debate between artists who advocate the art of Poussin and those that follow Rubens. 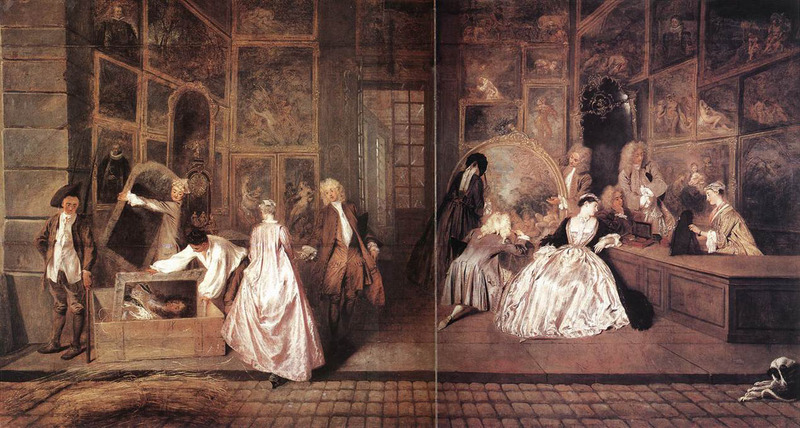 Through a comparison of these works, document why Watteau can be considered a "Rubeniste." Also note how his work differs from that of Rubens. 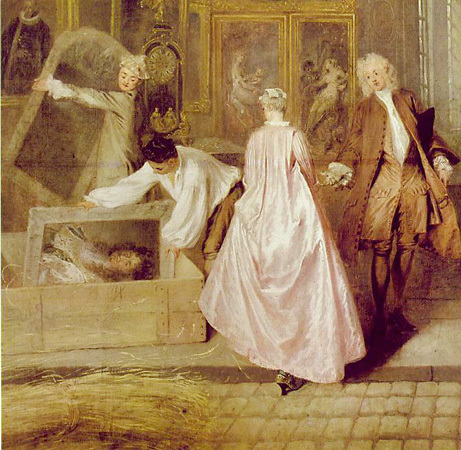 There is a useful biography of Watteau at Mark Harden's "Artchive."